These scripts are designed to delete temporary files under the windir folder. I have other scripts to delete the internet temporary files. The teaching highlights are Remove-Item’s use of the -Recurse and -Force parameters. The problem is that the operating system creates temporary files, which it does not clean up when they are no longer needed. Some of these tmp files date back to installation either of the OS itself or subsequent updates. Rather than deleting all the C:\ Windows temporary files, I want to begin by clearing-up only temporary files that are older than 500 days. One benefit is that you can make refinements, and then change 500 to 365 – and still get worthwhile results. Finally you may like to set the days to keep only the last month’s files. Obtain a stream of temporary files. Filter the files based on date. As a bonus calculate the disk space freed-up. I have chosen the C:\ Windows\Temp folder as the target to delete files. In these scripts I use the built-in variable $env:windir. Please understand that \Temp is its important sub-directory. Also realise that windir is different from the $env:temp variable. Be clear whether you are dealing with deleting the users AppData temporary internet files. ($env:temp), or deleting the operating system’s temp files. ($env:windir\Temp). Let us begin with a harmless script to count the temporary files. Note 1: As we shall see the -Recurse parameter is important if you want PowerShell to find then delete all the temp files in the sub-directories. If we want to use age to filter the files, then not only do we need to get today’s date, but also we need to subtract x number of days. This why we introduce New-TimeSpan. Note 2: Experiment by reducing -Days 500 to 200 or less. Note 3: The word-wrapping backtick (`) is optional in PowerShell v3. This is where you need to pay careful attention, a rogue script could delete vital files, especially if you employ the -Force parameter. 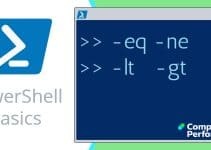 Remember that PowerShell has no verb called delete, the correct cmdlet is ‘Remove-Item’. Note 4: Remove-Item is the key action. Strangely it needs the -Recurse parameter even though it’s also used in Get-ChildItem. Note 5: For safety you may wish to append -WhatIf to the Remove-Item command. Note 6: While $List.Count was productive in the earlier stages, it’s not producing useful results here, hence stage 4 will calculate the disk space reclaimed by PowerShell deleting these temporary files. Observe how both new variables $Before and $After employ the Measure-Object cmdlet. Note 7: I enjoyed using the -f formatting command in this script. Note 8: See more about PowerShell's Remove-Item. By simply changing the path you could delete files in other locations, this makes Remove-Item a dangerous command in the wrong hands. If you want to delete the current user’s temporary internet files then you need to understand another system variable: $env:temp. Delete, or in PowerShell’s language ‘Remove’, is a forceful command that could lead to unforseen consequences. This is why I have built the script is stages and provided notes on the technique. One of the benefits of providing feedback for each stage is that you can see how much diskspace these temporary files consume, and thus why it’s productive to have a clear out.